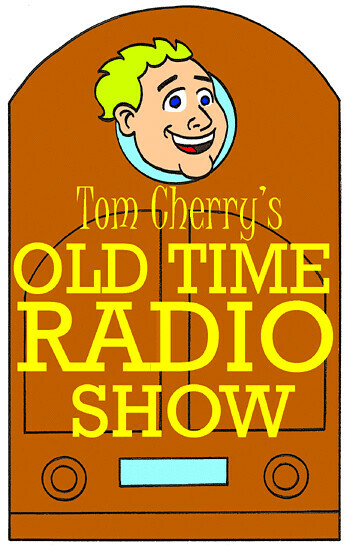 Just wanted to take a moment to reflect on another great episode of Tom Cherry’s Old Time Radio Show from this past Saturday. Little Women brought out one of our best audiences ever, packed with first time visitors, our beloved regulars, and an abundance of dear friends! When a great audience meets a great cast, you can feel the magic in the air! Plus we learned about “roachkickers” when we played It Pays to be Ignorant! Thanks again to Sean Orlosky, Missy Donahue, Sean Heline, Bob Green, Katy Wolfe, Angela Gick, Judy and Jerry Cole, and our special guests, Lauren Donahue and Dana Jones for being part of a truly memorable show! Already looking forward to our next show in August! Plus we take the show back on the road this Saturday as we perform at the Muncie Delaware County Senior Center at 1:00pm! On Tom Cherry's Old Time Radio Show, we have a game show segment based on the classic OTR quiz show, It Pays to Be Ignorant. The rules of the game are simple. Our very own banjo picker, Judy Cole, goes into our wonderful audience and picks out our lucky contestant. If this contestant answers our prize-winning question correctly, he or she wins! If he or she answers it incorrectly, well, they basically wasted our time. 1. Did you start a computer company in your parents' garage? 2. Do you often clone your family and friends for fun? Question: What do you call a cow with no legs? Think you know the answer (Bill did!)? Find out in the comment section! The most talented radio cast in Indiana brings another literary classic back to life as Tom Cherry's Old Time Radio Show proudly presents Little Women this Saturday! Starring Sean Orlosky, Missy Donahue, Sean Heline, Bob Green, Katy Wolfe, Angela Gick, our soundman and soundwoman Jerry and Judy Cole, and our special guest stars, Lauren Donahue and Dana Jones! Plus we'll feature another breathtaking adventure on The Happy Hoppy Hopper Show and the mysterious debut of Babs Howard, Girl Detective! Also It Pays to Be Ignorant and a couple of your favorite songs performed by our all star cast! That's this Saturday (7/26/14) at the Farmland Center at 3:00pm! Refreshments will also be available! Can't make it? You can also listen in by clicking the radio icon at http://www.farmlandindiana.org/ or on any mobile device through the TuneIn App, keyword Farmland Radio! 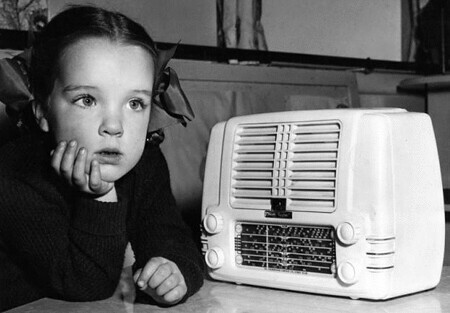 Tune in, turn out, and we'll see you on the radio! For some odd reason these two super baddies, Dunce and Hellwig, appeared on my placemat while I was waiting for fried chicken Sunday. The grease stains happened afterwards. Adventure Time #30 Deadly Class #3 Princess Ugg #2 She-Hulk #6 Purchased at Bob's Comic Castle. Total amount: $15.46 (Or $15.48. I forgot!) Notes- I've been rather negligent with my blog and the Haul for a bit, but I'm still buying those funny books on a regular basis. No worries there!... Javier Pulido, please come back to She-Hulk! Pretty please with gamma rays on top! Your artwork is sadly missed!...I grabbed this particular issue of Adventure Time because it was a special zine issue, but I found it rather disappointing. Nothing really grabbed my attention. Sorry, Jake and Finn!...I added Princess Ugg and Deadly Class to my pull list recently. Princess because I usually like Ted Naifeh's work and Class due to it's art (Nice stuff from Wes Clark) and main character. When I heard Class dealt with a school for teenage assassins, I nearly balked because "the school for wizards, fairies, whatever" concept seems rather old hat by now to me, but I'm digging Deadly Class. In fact, it's the winner of this week's haul! Dadman returns! I used that particular image for a birthday card for my dad (6/26/14). Doodling at work and suddenly Edith Bunker appears. At least, that's what I thought she looked liked. Your mileage may vary. Of course, my ridges are usually itchy. A photograph by Eric Whetsel. Labels: Eric Whetsel, photograph, potato chips, Tom's Crispy Ridges, Yum! I made this past week's "Five for Friday" at The Comics Reporter! Proof I've been blogging since 2002! Hey, I'm not the only one! Pam Bliss also likes to draw on placemats, too! Keith O'Brien shares his process on creating Samurai Slate comics! Dale Martin continues to impress every week with Watusi the Talking Dog! Sadly Tony Reynolds is wrapping things up for Ryan's Dad. Never heard of Doug Michel's Monkey Squad One? Check it out now! My old pal John Oak Dalton is still blogging! And so is my theatre chum, Todd Terrell! Just a shout out to one of my favorite blogs, Ivan G. Shreve Jr's Thrilling Days of Yesteryear! On Tom Cherry's Old Time Radio Show, we have a game show segment based on the classic OTR quiz show, It Pays to Be Ignorant. The rules of the game are simple. Our very own Judy Cole goes into our wonderful audience and picks out our lucky contestant. If this contestant answers our prize-winning question correctly, he or she wins! If he or she answers it incorrectly, well, they basically wasted our time. 1. Do you often get positive feedback from your TED Talks? 2. Is Dr. Bunsen Honeydew your favorite Muppet? 3. Does the very thought of Madame Marie Curie radiate you with confidence? Question: What did the inventor of the door knocker win? Think you know the answer (Amy didn't!)? Find out in the comment section! A colorized version of the piece that I created for Dale Martin's Dime Bag Comics. Recently cartoonist extraordinaire Dale Martin asked me to participate in a comic book anthology he was putting together that would benefit the Percolator Artspace and the Social Service League of Lawrence in Lawrence, Kansas and I said "YES!". Of course that was a few weeks ago and yesterday I received my contributor copies and I was very pleased! Dime Bag Comics is a fun book with some cool comics by some super cartoonists (Like Keith O'Brien and J.B. Winter, for example)! I'm honored to be part of such a worthy project! The name "Lady PoodleEars" has been floating around my head for months so after thinking about her the last couple days I finally put her image down on paper. Imagine a regal poodle mixed with Aunt Bee from The Andy Griffith Show and you got PoodleEars!